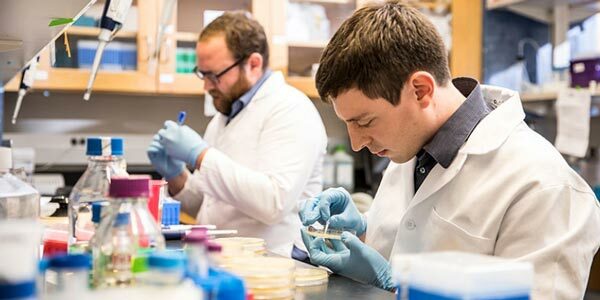 UW’s College of Engineering recently published a feature on A-Alpha Bio, a startup led by BioE Ph.D. alumnus David Younger, and Ph.D. students Bob Lamm and Randolph Lopez. The team has developed a screening platform using genetically engineered yeast to help scientists test hundreds of drug candidates against thousands of potential protein targets, and identify dangerous interactions. They hope their product lowers the cost of drug development — currently, 2.6 billion dollars per drug, on average — and improves the success of clinical trials, where nine out of 10 drug candidates now fail.